If you are looking for a bit of fun in the area of hanging pendant lights, then Jake Phipps may have just the product. 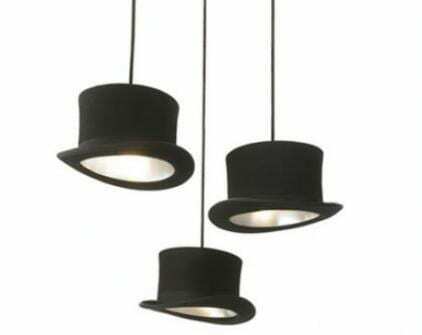 Wooster are pendant lights made from actual hats such as bowlers and top hats. Now, I have to admire the class of these hats as they always spoke of style and sophistication. I can’t but help think of old movies where the actors were dressed up in bowlers or top hats since they were the fashion style of that era. These pendant lights would be great additions in a theater or bar/restaurant featuring nostalgic movie related themes or even in a home theater room. Price: €225.